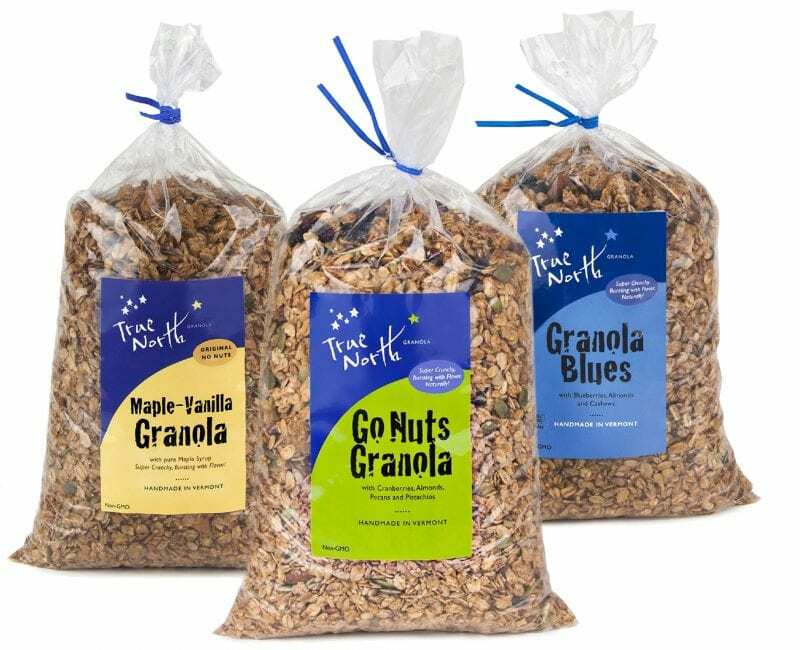 True North Granola is available to purchase online in bulk sizes of 3, 5, or 10 lb. 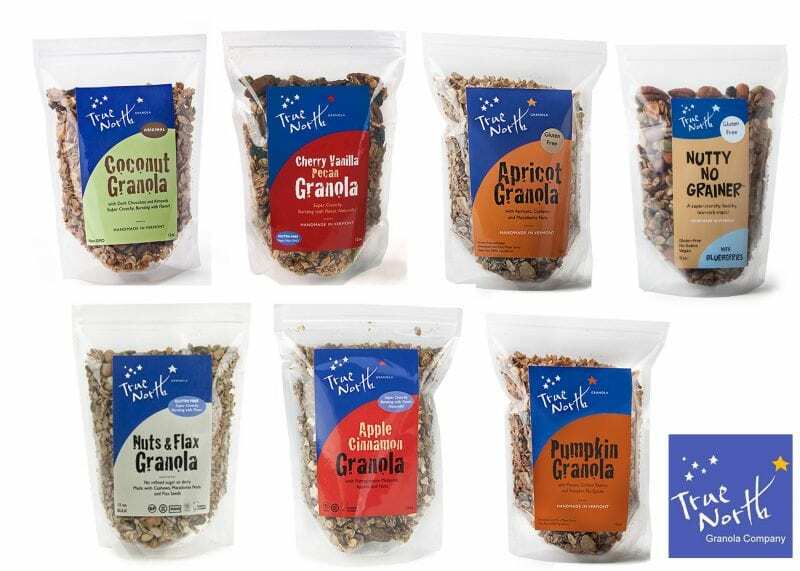 bags; our granola freezes very well for up to 6 months. 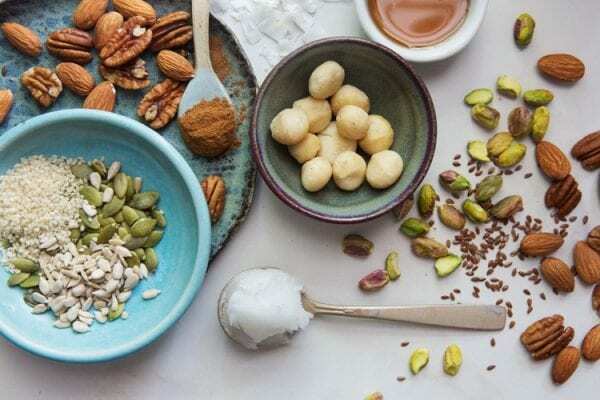 We put our test kitchen to work this year, and after multiple iterations of each variety, we developed three new unique varieties: Nuts & Flax Granola, First Date Granola, and Nutty No Grainer Mediterranean Blend. They stand out in many ways—one is organic, they all eliminate the use of refined sugars (maple syrup only), one contains no added sugar, and three are vegan. The Mediterranean Nutty No Grainer is our first foray into a SAVORY GRANOLA! The ultimate gift from Vermont–clean food free of chemicals or preservatives, always freshly made, super crunchy and NEVER too sweet. 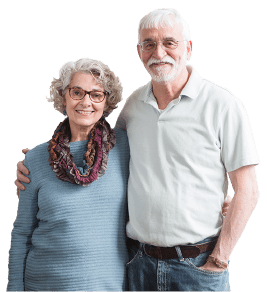 We offer 3 different clubs which you can join for 2 months, or up to 12 months. Share this gift with your friends or loved ones–in fact, with all the granola lovers in your life! 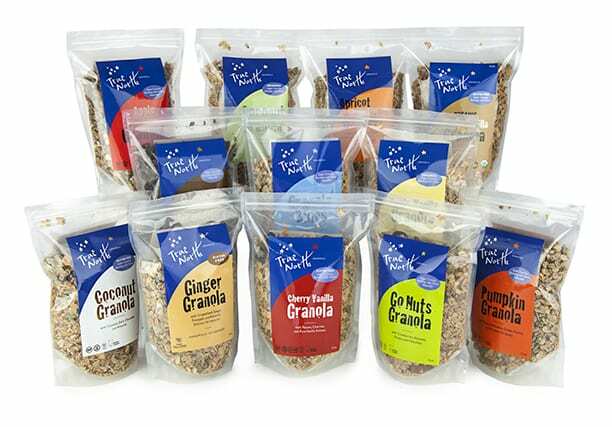 Freshly baked, never too sweet, clean and crunchy granola. Delivered according to your desired monthly schedule. Be the first to sample our newest products! You may include a personalized message which we will send on a lovely True North Granola postcard to your recipient.